There is a very specific language of Gothic and horror literature that has its roots buried deep in the history of English: doom has been around since Old English; dread carries over from Middle English; eerie, that sense of vague superstitious uneasiness, enters Middle English through Scottish. The adjectives are harsh and guttural: moons are always gibbous, the trees eldritch. Rather famously, Sigmund Freud begins his essay on ‘The Uncanny’ by exploring for several pages the etymology of the German term unheimlich (literally the ‘unhomely’, but cleverly translated using the ancient Scots word ‘uncanny’). Freud rests his entire argument about this elusive, uneasy emotion which is often said to be typical of Gothic fiction on the strange instability of this word. Heimlich and unheimlich are not always opposites, but can come to mean the same thing. What is the most alien, weird, and foreign – the uncanny – produces its effect precisely because it erupts in the most domestic, familiar, and ‘canny’ spaces of the home. It is no surprise that the Gothic, a literature that emerged from the heart of northern Protestant Europe in the eighteenth century, uses an insistently harsh and ancient Northern tongue for its disordered and fantastical imaginings of murky deeds in the Dark Ages centuries before Enlightenment. The Gothic avoids the erudition of suspicious southern Latin sophisticates for a harsher Anglo-Saxon tongue. 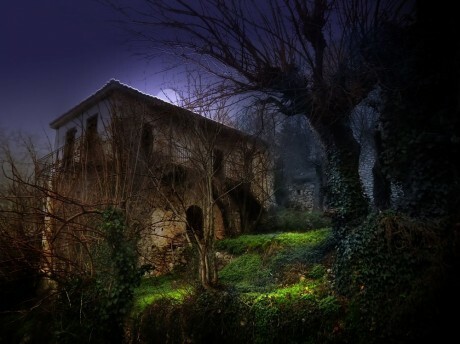 And if we still associate the modern Gothic with this language of the north it is largely down to the influence of one writer: H. P. Lovecraft (1890-1937). In the 1920s and 30s Lovecraft wrote pulp horror fictions about men undone by nasty tentacled gods in the backwoods of New England or at the ends of Earth amongst the savage races of Pacific islands or the keening penguins of the Antarctic. Horrible things slithered and slimed, invading human bodies and threatening all human values. He published in amateur journals with tiny print runs and then in pulp magazines like Weird Tales and Astounding Science Fiction. He published only one novella in book form during his life, yet his influence on modern horror has been huge. There is no Stephen King without Lovecraft, no Ridley Scott Alien series, no body-horror, no X Files, no Guillermo del Toro films. Thousands of writers continue to use Lovecraft’s cosmogony of alien gods. He has influenced contemporary philosophy, Goth and Black Metal music, Japanese manga, and there are even religions that worship Lovecraft’s fictional god ‘Cthulhu’. Lovecraft was responsible for fixing down a particular form of ‘weird literature’, a mode of writing slithering somewhere queasily between Gothic and science fiction. ‘Weird’, of course, is another ancient Northern word, found in Saxon, Old German, and Old English. In 2003, young genre writers like China Miéville were associated with a movement christened ‘The New Weird’, further attesting to Lovecraft’s continuing influence into the new century. That tenebrousness was indeed a positive quality; for it obscured such parts of the inner walls as ought to have been revealed, and actually burst forth like smoke from its aeon-like imprisonment, visibly darkening the sun as it slunk away into the shrunken and gibbous sky on flapping membranous wings … It lumbered slobberingly into sight and gropingly squeezed Its gelatinous green immensity through the black doorway… The Thing cannot be described – there is no language for such abysms of shrieking and immemorial lunacy, such eldritch contradictions of all matter, force, and cosmic order. The risk of such a style is that it always teeters on collapse, tipping over to become funny rather than frightening. There are many readers who find Lovecraft inept and comical, and this style is certainly very easy to parody. Rather disarmingly, though, Lovecraft tended to agree, berating his own style and failures in letters to friends. He abandoned writing for a long time after the initial rejection of At the Mountains of Madness, feeling there was no point in continuing. But there is a kind of logic to his stylistic awkwardness – it’s as if he needs to make language clatter and break open in order to get at the weird effect. The weird, I always think, is a pulp sublime that slithers out of the carcase of Lovecraft’s broken sentences. Lovecraft was rigorous in imagining his aliens – why would the English language be able to express absolute otherness? His god ‘Cthulhu’ is named with the barest approximation of the horrible sound his debased and savage followers utter. There is even a ritual chant that Lovecraft’s narrator transcribes: Ph’nglui mglw’nafh Cthulhu R’lyeh wgah’nagl fhtagn (which means, obviously, ‘In the house at R’lyeh dead Cthulhu waits dreaming’). Yet even this alien language perhaps distantly echoes the hard consonantal sounds and alliterative rhythms of Old English. There is a darker reason for Lovecraft’s heavy investment in the old languages of the Gothic. Lovecraft was a deeply reactionary man, the last representative of two decaying New England families, deeply afraid of the whirlwind of change in modern America. He lived two years in New York in the 1920s, the huge influx of immigrants terrifying him and feeding his fantasies of invasion and dethronement. He feared that those of Nordic origin (the descendants of the first American white settlers, the Puritans of the Mayflower escaping Popish decadence in Europe) were being threatened by an influx of the Asiatic and other lesser races. He approvingly quoted from the very popular racist books of Madison Grant, who published works with titles like The Passing of the Great Race. It was after Lovecraft escaped from New York in 1926 and returned to Providence in Rhode Island that he wrote his greatest horror masterpieces. ‘The Horror at Red Hook’ is explicitly about the degenerate world of Brooklyn’s port district (then the largest port in the world), but soon these fantasies of racial in-breeding were transfigured into a register of cosmic threat. For Lovecraft, the Gothic was deeply tied to questions of inheritance, race and language. He spoke explicitly of the Gothic as a literature of the Nordic tribes, best written by those heralding from the Goths and the Teutons. ‘Wherever the mystic Northern blood was strongest, the atmosphere of the popular tales became most intense,’ he wrote in his essay ‘The Supernatural Horror in Literature’. He spoke of his favourite Gothic authors Edgar Allan Poe, Lord Dunsany and Arthur Machen as possessing ‘a purely Teutonick quality’ in which ‘you ought to find plain evidences of Nordick superiority; and derive therefrom a proper appreciation of your natural as distinguisht from your adopted race-stock.’ Language is never neutral, and in Lovecraft’s extraordinary fiction it is always a question of race and identity, produced in an era of great anxiety about the alleged ‘race suicide’ of the Western world in the aftermath of the Great War. Always tread carefully: Cthulhu waits dreaming. This article originally appeared on the OxfordWords blog. Roger Luckhurst is Professor of Modern Literature at Birkbeck College, University of London. An expert on science fiction and Gothic literature, he is the author of The Invention of Telepathy, Science Fiction, The Trauma Question, and The Mummy’s Curse: The True History of a Dark Fantasy. 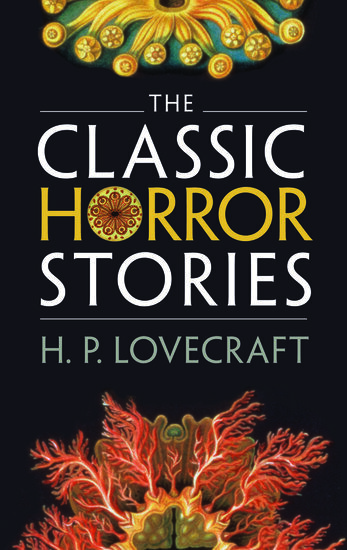 He is the editor of H. P. Lovecraft’s Classic Horror Stories published by OUP in May 2013. Subscribe to OxfordWords via RSS. Subscribe to only literature articles on the OUPblog via email or RSS.